We Offer Free WordPress blog Setup with unlimited benefits like free premium theme installation, plugin installation and configuration and blog search engine optimization. In order to offer excellent service free of cost, we need user to sign-up with our partnered web hosting providers. 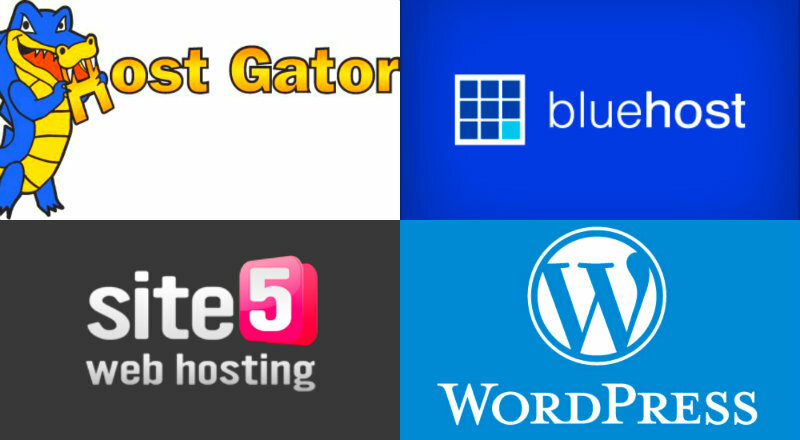 These are some of the widely used web hosting provider in the world. In this way you will get reliable web hosting for your blog and we will receive a small commission for referring new user. All you need to do is just sign up using links on the partner web hosting (shown below) and fill out the form below. Note – Make sure you use our link or coupon for sign up, otherwise you will not get free service from us. 25+ Important Plugin Installation and Configuration. HostGator – Hostgator offers wide range of web hosting services. Shared hosting starts from 3.96$ / month to 9.97$ VPS hosting. Our blog Ebuzznet runs on Hostgator and we are fully satisfied with its service and quick support. You can also use coupon code INSTANTDISCOUNT25 for 25% off on hosting or FLATOFF9DOLLAR for 1 cent for first month offer. BlueHost – BlueHost is one of the widely used WordPress hosting service, recommended by many and offers many features such as free domain name registration on any hosting package and unlimited number of domain hosting. Plan starts from 3.95$ / month. Site5 – Site5 offers reliable and awesome web hosting package including location specific hosting, they also offers web hosting for specific functionality like WordPress, cms, forum, image hosting and much more. It offer free 30 days trial on Web hosting packages, so you can try before you buy. InMotion -InMotion offer tons of benefits like free domain registration or transfer, free data backup, free zero downtime migration, advertising credits, outstanding service and support. Web Hosting Hub – It offers Unlimited Disk Space, Unlimited Bandwidth, Unlimited Websites, Free Domain Registration or Transfer, Free Blogging Software, Free Premium Website Builder, Easy-to-Use Control Panel and mouch more.